There are only a few books I’ve encountered in my reading life that have left that kind of mark on me, and I am always surprised when a new one gets added to that category. 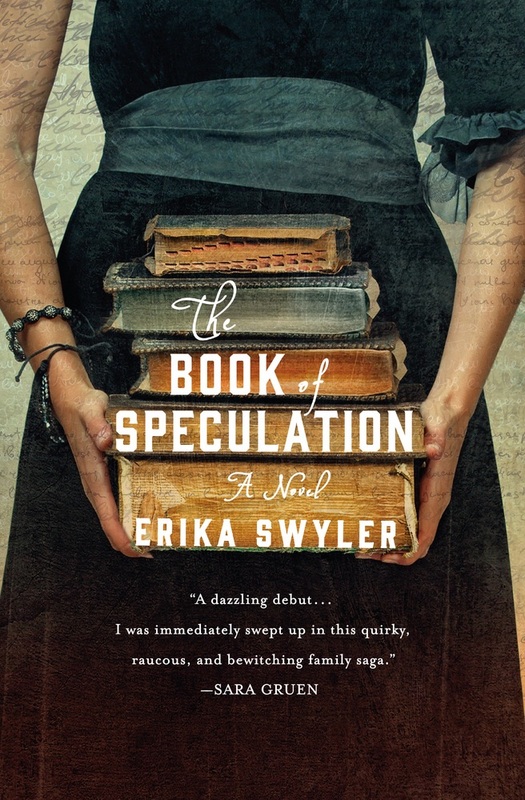 The Book of Speculation is one of those unexpected gifts. I didn’t go looking for it. I was browsing in B&N, killing time between some meetings a few days before my much anticipated July vacation, when I happened upon TBOS on the New Releases rack. I recognized the title as one I’d added to my GoodReads a couple weeks ago, and it looked promising. I liked the feel of it in my hand and I loved the way the text looked as I flipped through the pages, so I bought it and tossed it in my vacation book bag. Days later, unpacked and at ease on the shore of a Northern NY lake, I opened TBOS and lost myself completely in this lovely story of a librarian, a bookseller, and a mysterious book that served to blend past and present, fairy tale and tragedy. Simon Watson is a reference and archival librarian living in an ancient house perched precariously on the north shore of Long Island. Simon receives a mysterious book from an unknown bookseller just as he is let go from his position at the library. The bookseller has sent him the book because it has in it the name of one of Simon’s great-great grandmothers. The book piques his interest, as it recounts the movements of a traveling show which apparently included the women of his family, all of whom died by drowning on July 24, including his mother. Simon becomes obsessed with the idea that his sister, now also a performer in a traveling show, will suffer the same fate as July 24 comes closer. Using his library connections and his own research skills, he pieces together a lovely, tragic, and ultimately frightening story of love and loss that reconnects the family first established in that 18th century traveling show. Swyler skillfully blends the past and present in a way that doesn’t jar the reader, but floats you gently along two parallel currents that eventually meet in a fury of a storm. There are plenty of unexpected events that surprise, delight, and sometimes frighten, keeping the readers attention throughout. Swyler’s use of water as a metaphor knitted into the fabric of the story successfully binds the past and present, and her details around circus and show life are wonderfully colorful. I savored each sentence of TBOS, pacing my reading to draw it out over a few days because I loved it so. This is a book I will come back to again, without a doubt, and is one of those books I will remember long after this reading. In that way, The Book of Speculation joins Jane Eyre, The Historian, Peace Like a River, Harry Potter and the Sorcerer’s Stone, and a handful of others on my “Read and Read Again” shelf.